'Perfect normal' autofocus prime designed for full-frame mirrorless Sony cameras. Zeiss has announced the latest member of its Batis family of autofocus lenses for Sony full-frame mirrorless cameras. 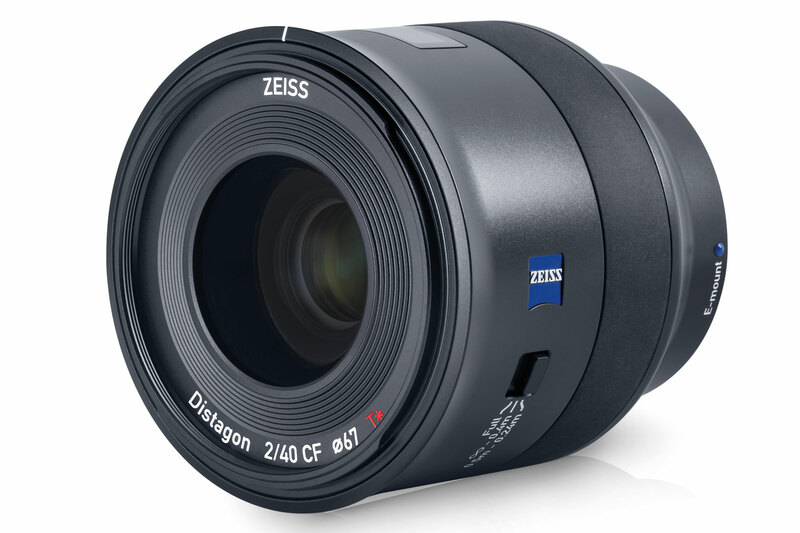 The Zeiss Batis Distagon T* 40mm f/2 CF provides a very natural perspective to images, with a focal length that’s approximately equal to the 43mm diagonal of a full-frame sensor. CF stands for close-focus, with the lens offering a minimum object distance of just 24cm, giving 1/3 life size reproduction. A focus limiter switch enables either focusing over the entire range, or restricts the lens to focusing from infinity to 40cm, or across a range from 50cm to 24cm. Like all Batis lenses it features an LCD display that shows the focus distance and depth of field. The optical formula utilises 9 elements in 8 groups, with three aspheric elements (one of which uses ‘special glass’), and four elements made of special glass with anomalous partial dispersion. The lens measures 93mm long and 91mm in diameter, and features robust, weatherproof construction, that contributes towards its 361g weight. It accepts 67mm filters, and comes supplied with a bowl-shaped lens hood. It’s due to go on sale in November priced at £1129.99 including VAT.